This week’s Soundbox is by guest writer Nolan Telthoester. 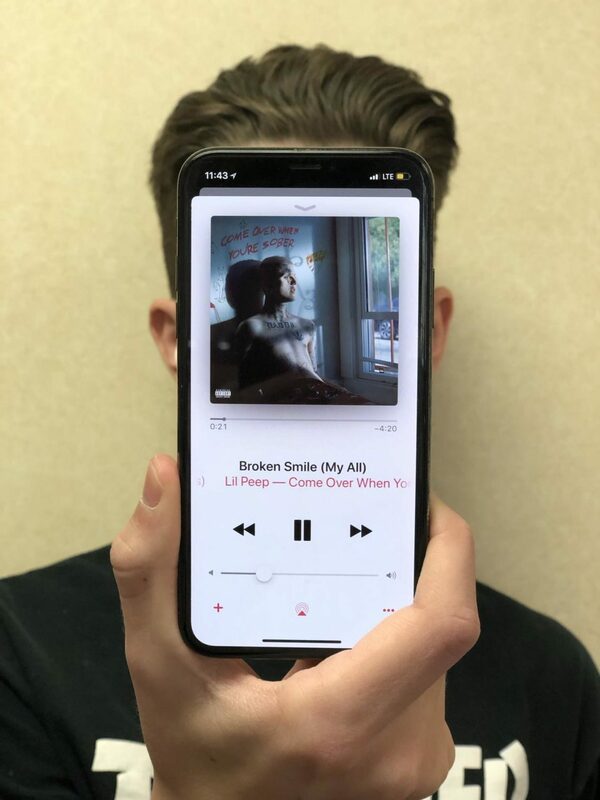 The newest album released by deceased rapper Lil Peep “Come Over When You’re Sober Pt. 2” has a deeper meaning and thought process behind it than any other music he’s written. The album likes to mention a person referenced to as you. That person is actually a lot of people and objects compressed into a simpler form. In the track “Life Is Beautiful” he often refers to himself as you when discussing his depression or running away. Which it is assumed that he truly means running away from life by means of death. In another track, he further uses the term to talk about the one girl out of them all he didn’t waste his time on. He talks about trying to impress her through music which he uses as a catalyst to discuss his real emotion. Known for his sense of emptiness this album really gets into the reason why. Each song on the album has a title relating to the spiral of events that threw him into depression. “16 Lines and “White Girl” are both in bringing to light his reliance on hard drugs which doesn’t really get talked about this exclusively in his music until now. This can be seen as ironic as this is the last album he wrote before his overdose on November 15, 2017. Gustav Åhr’s past with music is short but sweet. He is quoted with saying “It all started in 2015 when I bought a microphone and a $100 audio interface. From there it took off”. By the end of the year album “Star Shopping” had already blown up and the 19-year-old was on his way to stardom. Between Åhr’s fashion and his new genre of rap music, he became a major influencer making features on GQ and V magazines numerous times. This does not mean times were easy for the young adult as he tended to not have a home to live in and ended up couch-hopping at different places. After the struggles financially were over is when the mental problems arose. Between fake love and fame, Åhr felt that drugs were the only way to relieve his sorrow. Thus throwing him into a world of hurt and bad scenarios. It all ended one day when he died of an accidental overdose on the drug Alprazolam also called xanax. The drug is used for relieving stress or depression among patients. The only thing is that the chemical known as fetanyl was laced into the drug and ended up killing the 21 year old Åhr. Despite him being gone, his music legacy will live on.